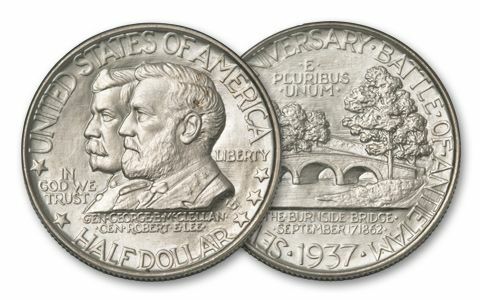 Generals Robert E. Lee and George McClellan stared each other down from across Maryland's Burnside Bridge at the start of the Battle of Antietam. Before the sun set on that fateful day, both sides endured the single bloodiest day of the entire Civil War. 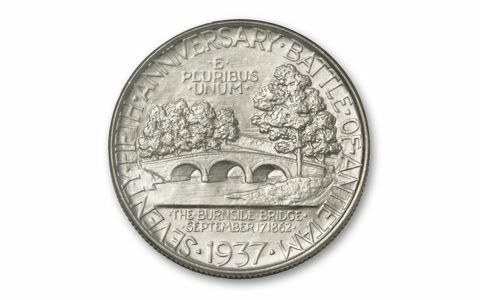 To mark the 75th anniversary of the Battle of Antietam, only 18,000 of these intricately designed silver half dollars were struck in 1937. How many managed to survive the next seven decades is unknown, but they've been one of the prized coins sought after by collectors ever since. With the 150th anniversary of the Civil War here, more attention is being drawn to this incredibly scarce commemorative. 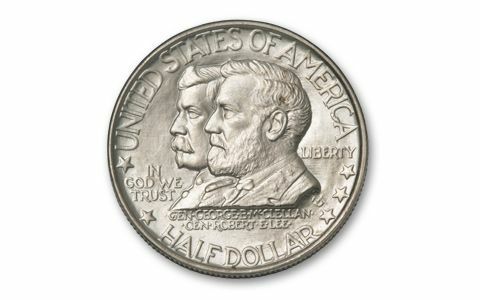 We have them in Brilliant Uncirculated (BU) condition. Get yours now!